Well, that’s certainly one way to get your blood pumping! 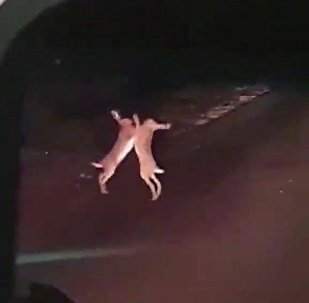 Whether you have a touch of acrophobia (fear of heights) or not, video recently uploaded to Storyful by photographer Cara Urban may make you wince. 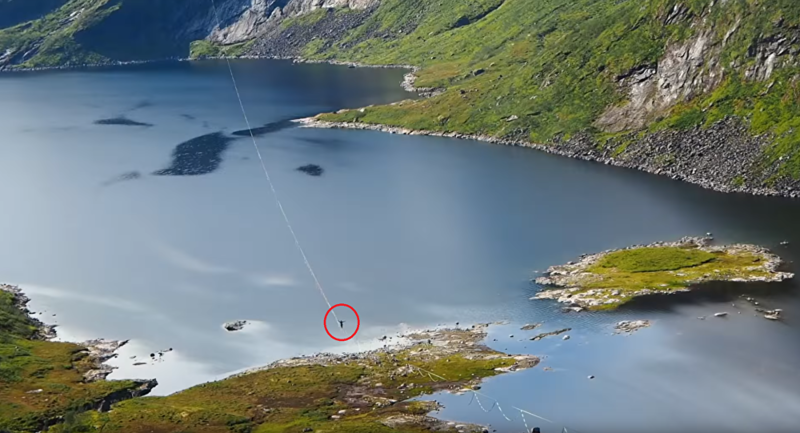 The video, recorded in Senja, Norway, shows Quirin Herterich balancing and navigating his way across a 2,800-meter slackline suspended over lake Svartholvatnet. With the help of a couple of drones and Urban's artistic expertise, the audience is shown a bit of how adrenaline-inducing the August 27 experience was for Herterich. According to Urban, Herterich was able to make it approximately 2,500 meters before losing his footing at 0:26. Not letting the slip or spins ruin his experience, the thrill-seeker (although tired) is all smiles following the feat.